As September approaches, that “back to school” sensation grows more and more apparent. 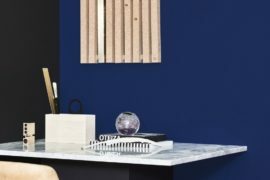 New uniforms, bags, books and stationery are a must, but when choosing a school, how many parents actually think about the architectural environment? 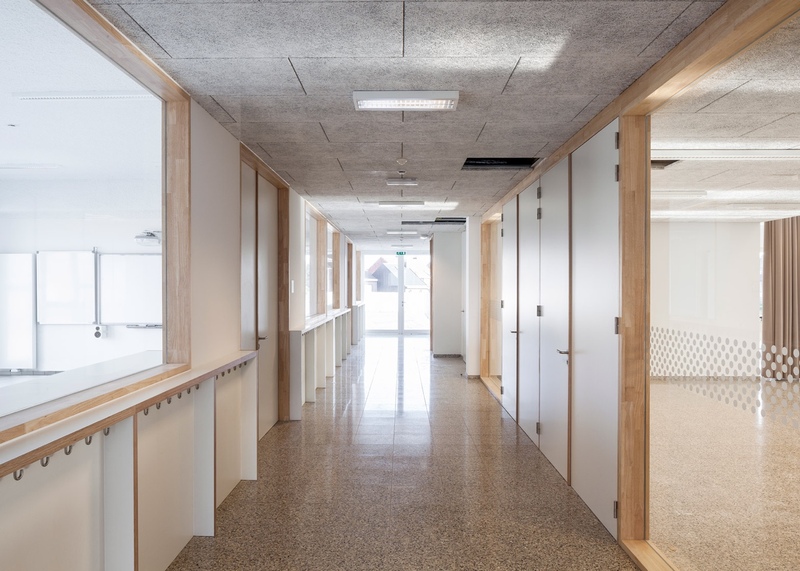 It is surely a no-brainer that well-designed school architecture will have a positive impact on a child’s academic performance, as well as their all-around growth. If we consider performance as related to a person’s mental, physical and emotional health and well-being, then the built environment affects each of these attributes, for better or worse. 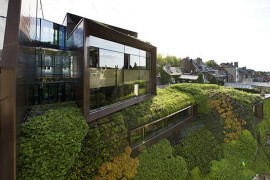 Moreover, the built environment will influence how we interact and communicate, work and play. 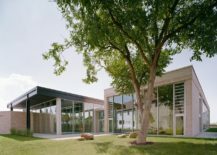 In terms of architecture, surroundings that are badly thought out can, at least anecdotally, suppress our sense of self and lessen our ability to excel. The ‘Simone Veil’ group of schools. 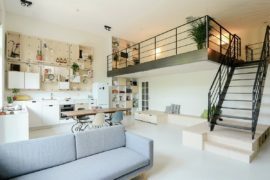 Located in the Parisian suburb of Colombes, the building was designed by Dominique Coulon & Associés. Photo courtesy of Dominique Coulon & Associés. A school should be an inspiring place, providing the backdrop in which children will learn and thrive. 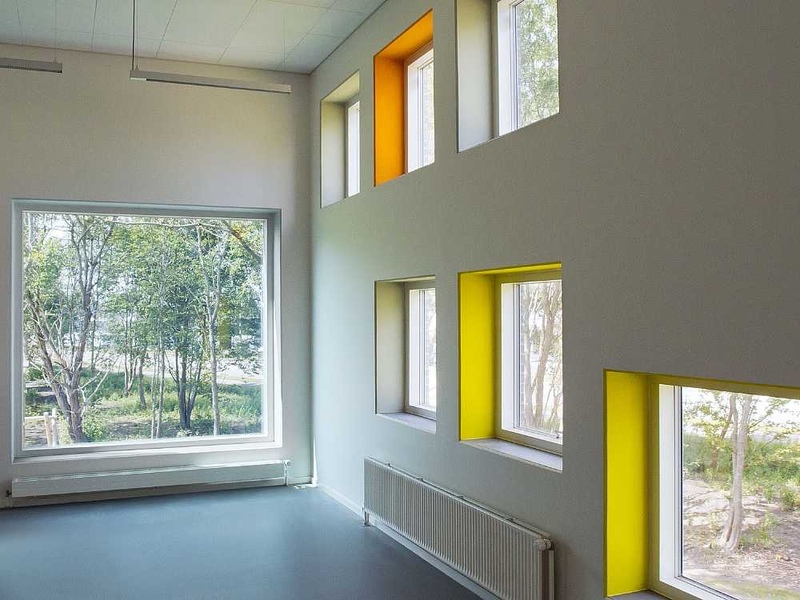 Good architecture is a key component of this backdrop, where design acts to stimulate a child’s ability to learn. 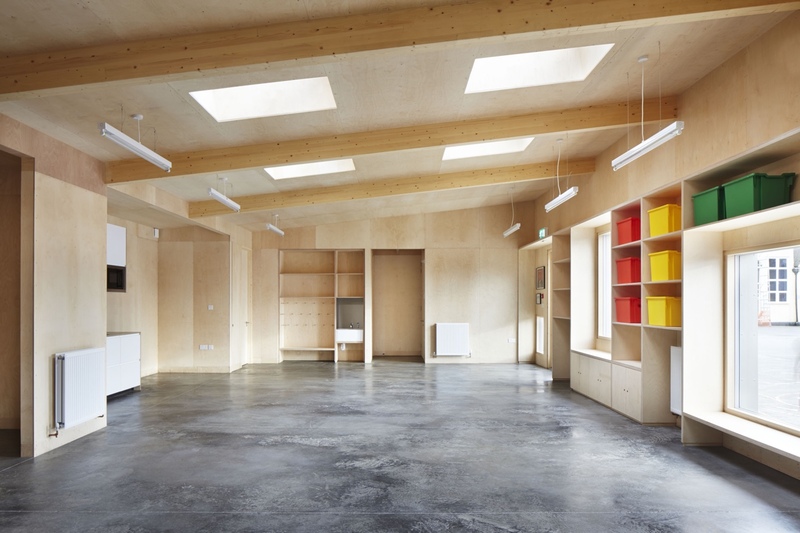 Interior space at Kindergarten Kunterbunt. Designed by Ecker Architekten, it is located in the German town of Babenhausen. 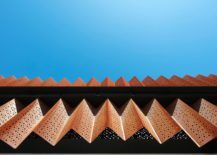 Photo courtesy of Ecker Architekten. That back-to-school sensation is one that many kids dread. 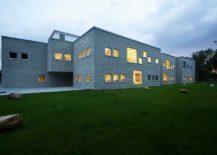 Yet it is possible that a school’s well-designed architecture will at least ensure the return is less stressful. Perhaps I’m dwelling on my own past. 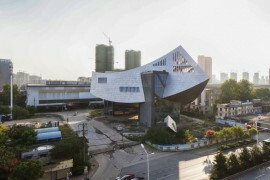 Architecturally my school was a shambles, and I believe this contributed to a negative environment. 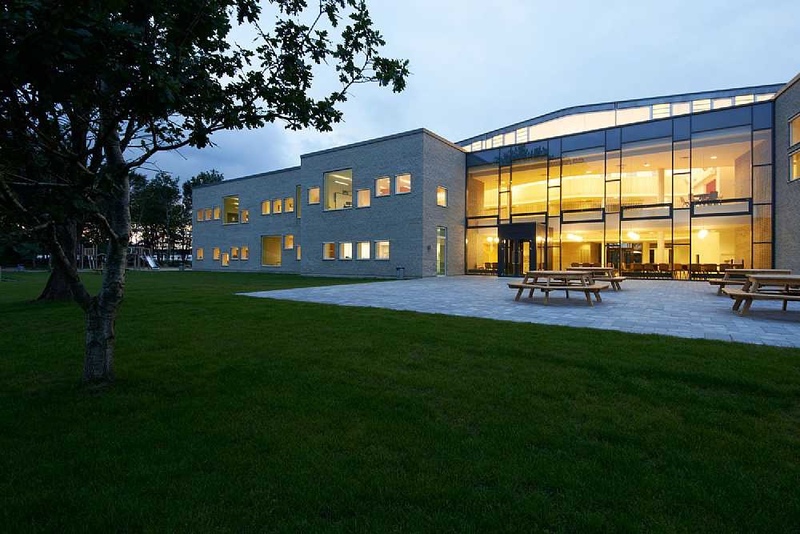 I am certain that better architecture would have improved my own experience of school. Here are nine school buildings that will have students skipping back to class. 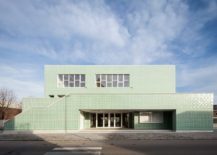 Designed by Areal Architecten, mint-green glazed bricks adorn the outer walls of this primary school block in the Belgian town of Boom. Bright and fresh, they lend the building a certain midcentury air. 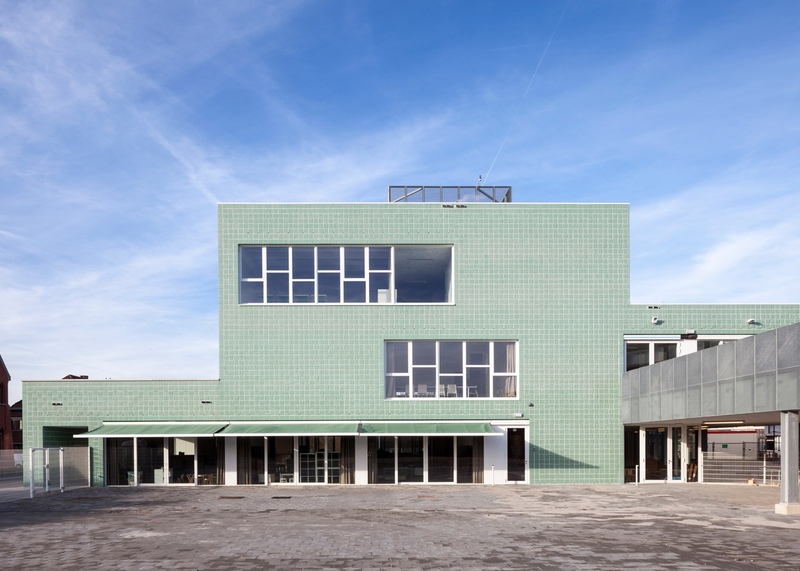 Primary school block in the Belgium town of Boom, designed by Areal Architecten. 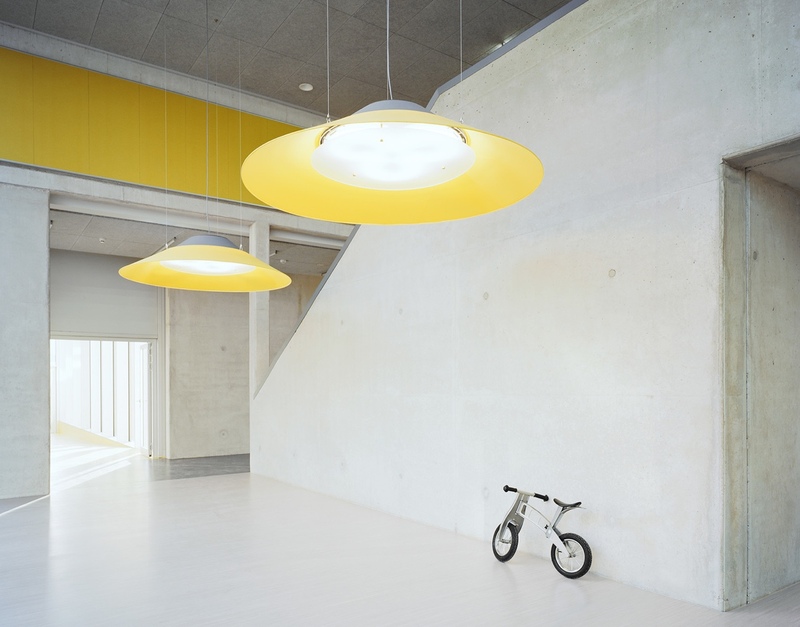 Bright and airy school interior. 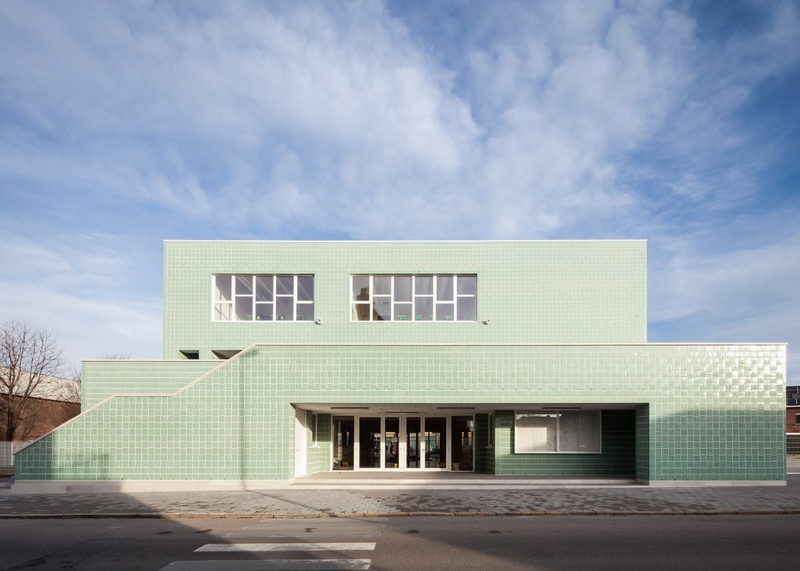 The mint-green glazed bricks add a pleasing aesthetic. Photos by Tim Van De Velde via Dezeen. 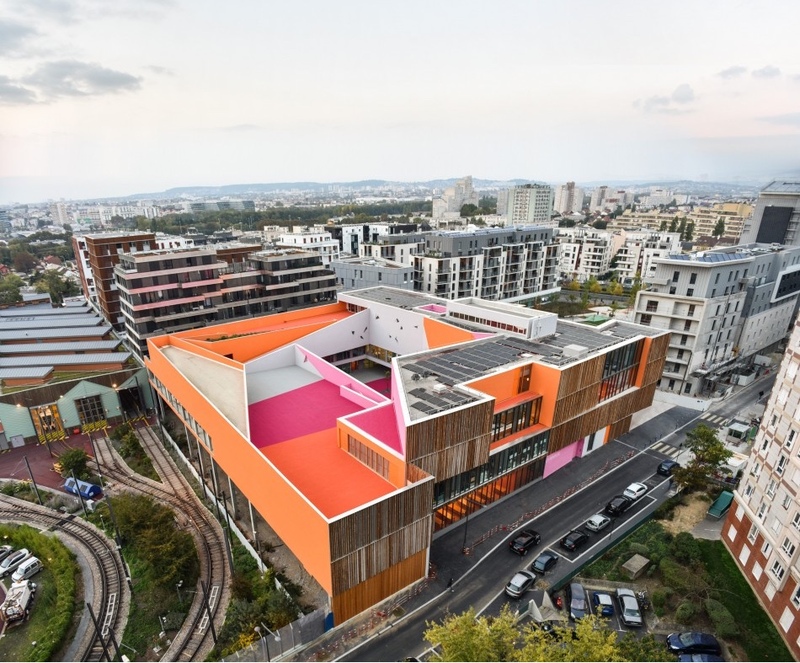 The ‘Simone Veil’ group of schools (incorporating a primary school and nursery) are part of a new “eco-neighbourhood” in the Parisian suburb of Colombes. 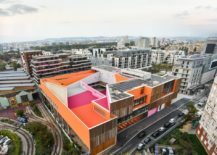 Designed by Dominique Coulon & Associés, the building is clad in rustic bark-covered batons and highlighted by pink and orange paintwork. 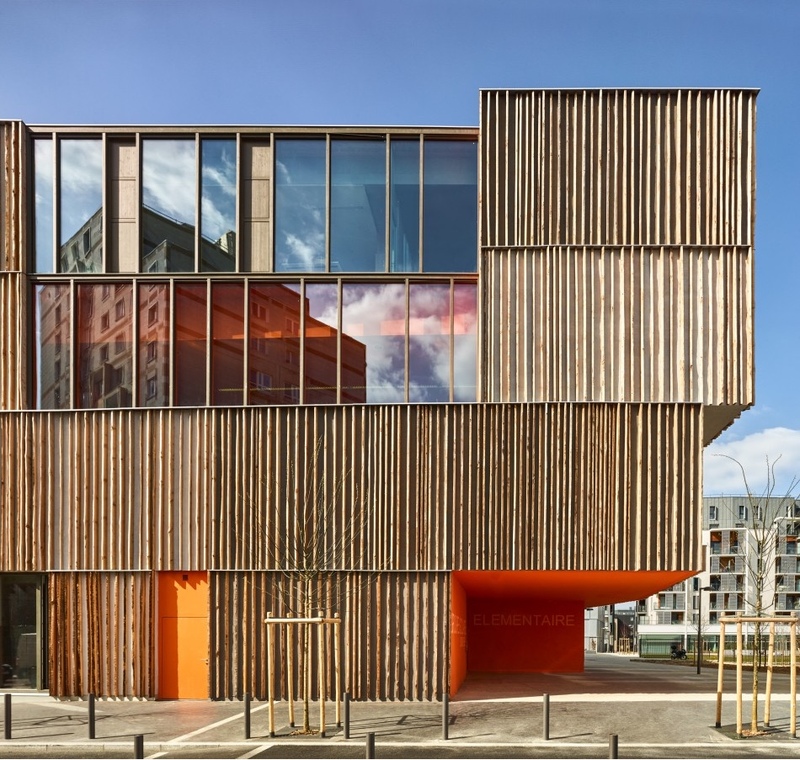 The ‘Simone Veil’ group of schools was designed by Dominique Coulon & Associés. 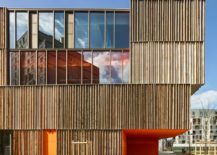 The building’s outer walls mix rustic bark-covered batons with pockets of pink and orange paintwork. 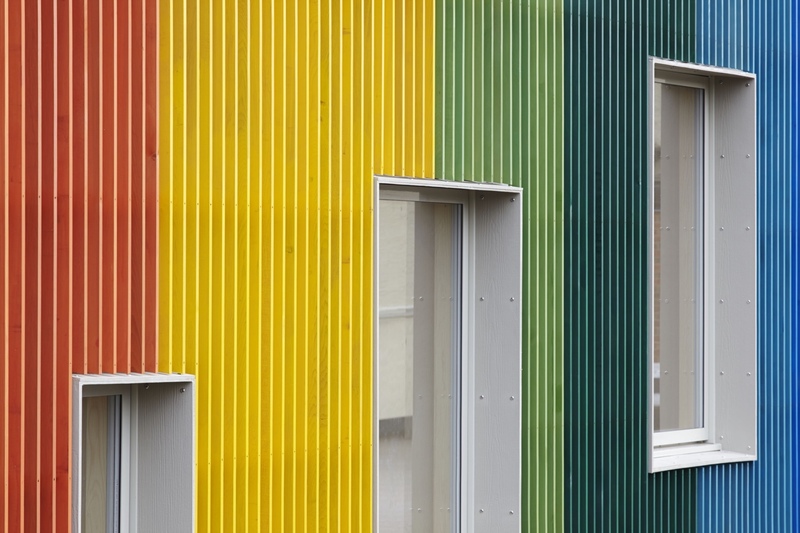 Vibrant colour accents act to lift the building. No running! 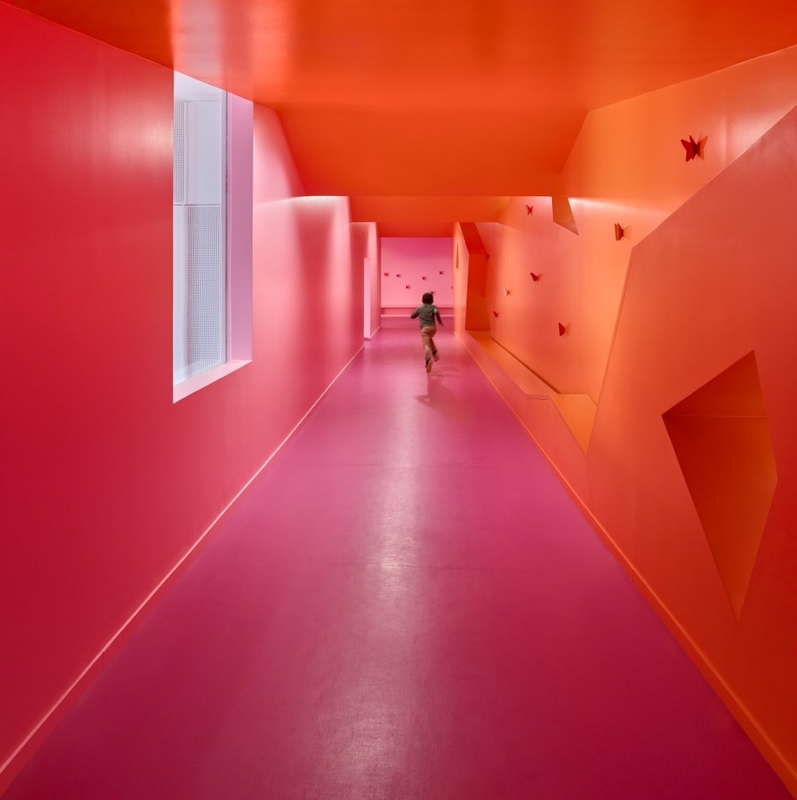 This hot pink and orange hallway was made for breaking the rules. Photos courtesy of Dominique Coulon & Associés. 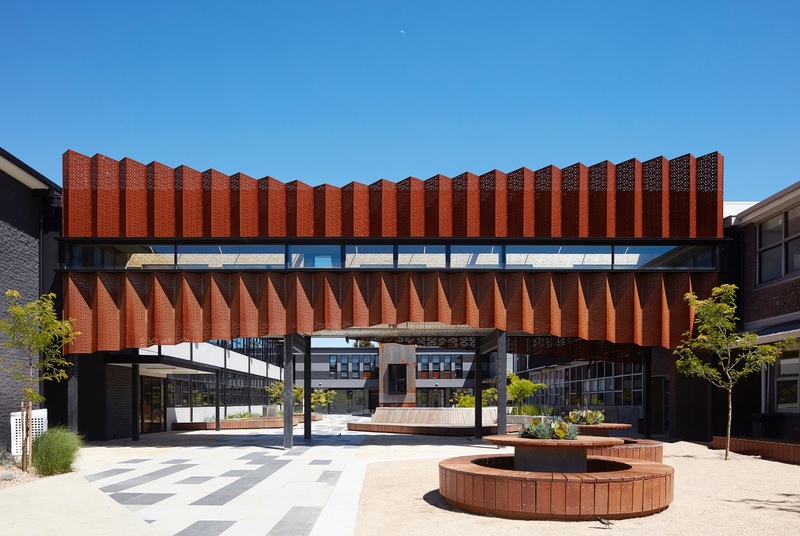 A “Flyover Gallery” bridges two precincts within Caroline Chisholm College in Braybrook, Victoria. 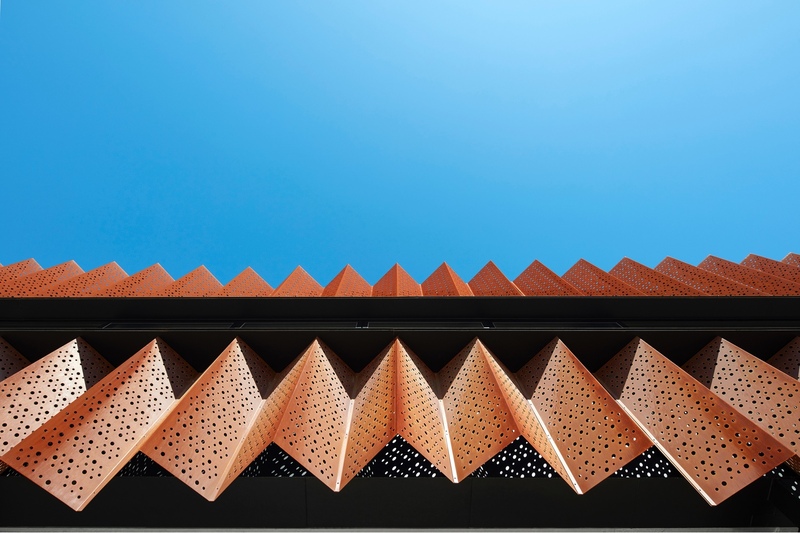 Designed by Melbourne-based Branch Studio Architects, the Flyover Gallery’s black painted cement is clad with zig-zagging perforated corten steel sheeting. 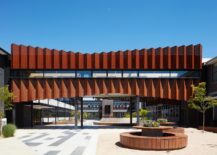 “Flyover Gallery” at Caroline Chisholm College in Braybrook, Victoria, Australia. 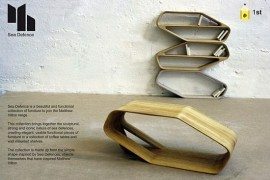 Designed by Melbourne-based Branch Studio Architects. Catching up on gossip in the Flyover Gallery’s cool interior. 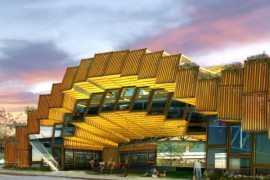 The Flyover Gallery is a perfectly symmetrical zig-zagging structure. 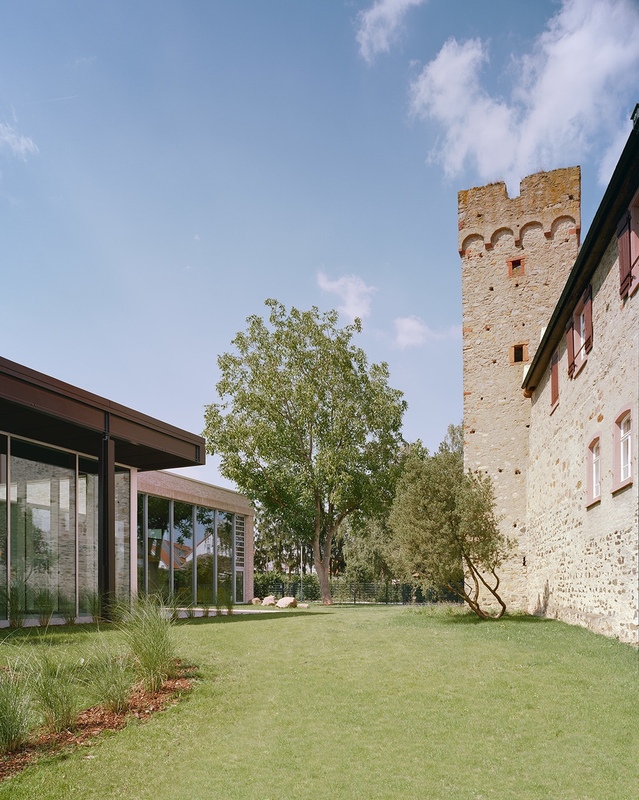 Photos by Peter Clarke © Branch Studio Architects. 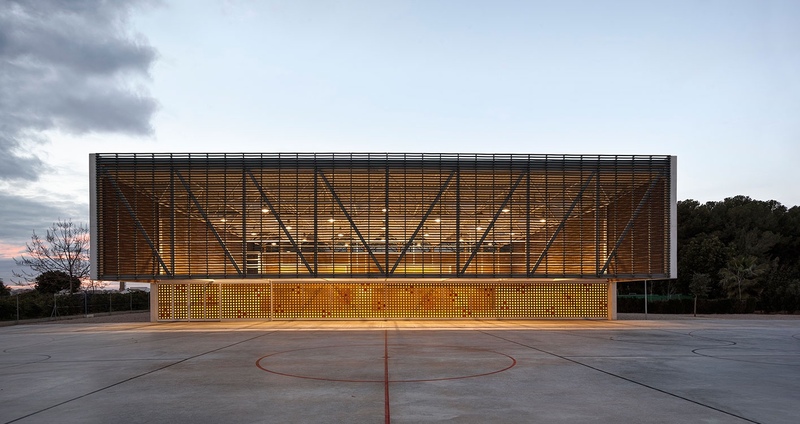 This multipurpose sports hall for Escola Gavina school near Valencia in Spain was designed by Gradolí & Sanz Arquitectos. 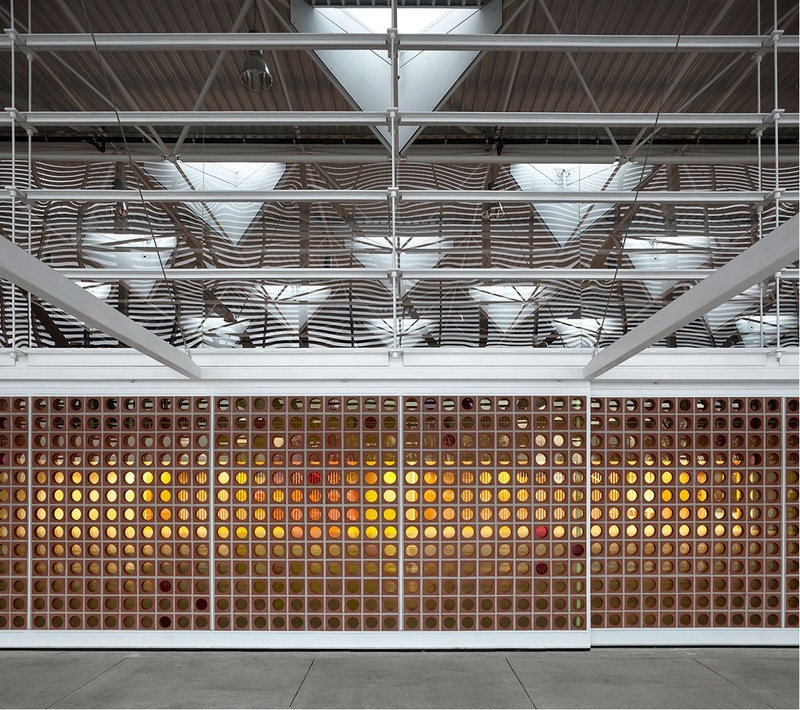 In order to create the engaging facade, glass discs in various hues (clear, red, orange and yellow) were inserted into clay blocks with circular holes. 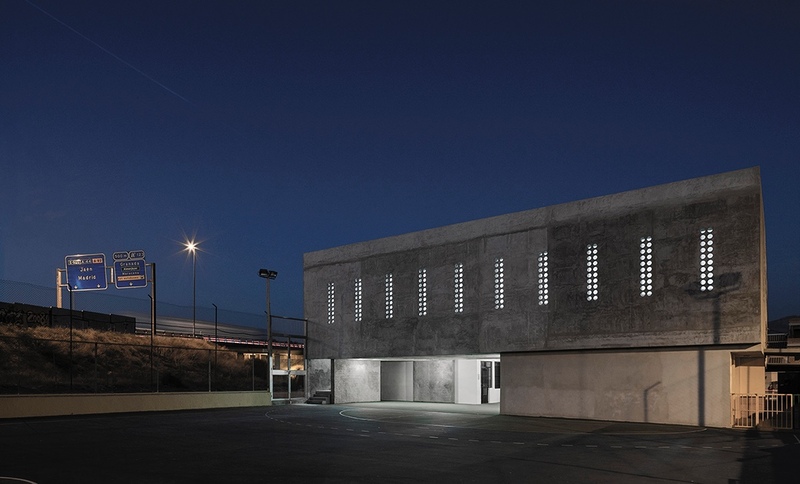 Multipurpose sports hall for Escola Gavina school, designed by Gradolí & Sanz Arquitectos. 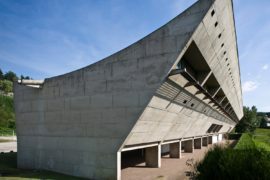 The sports hall’s clean and concrete profile. Glass discs in various hues were inserted into clay blocks with circular holes. 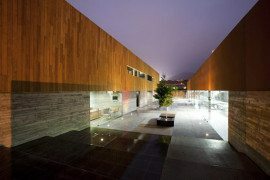 Photos © Inventario de Arquitectura S.L. 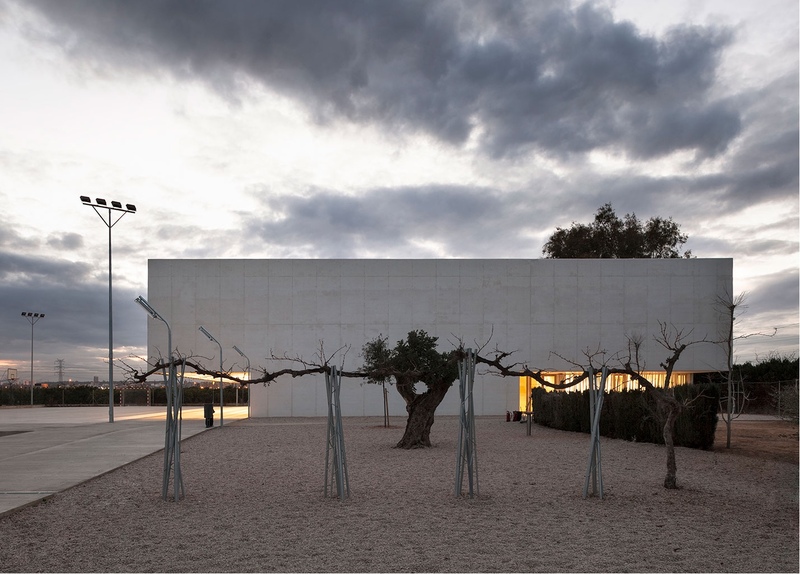 This multipurpose hall for the Cerrillo de Maracena School in Granada was created by Elisa Valero Arquitectura. 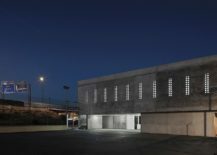 The exposed concrete extension is punctuated with tiny porthole windows, providing a somewhat monastic effect. Tiny porthole windows punctuate the multipurpose hall at the Cerrillo de Maracena School in Granada. 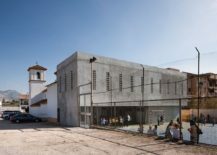 Light highlights the tiny porthole windows at the Cerrillo de Maracena School in Granada. 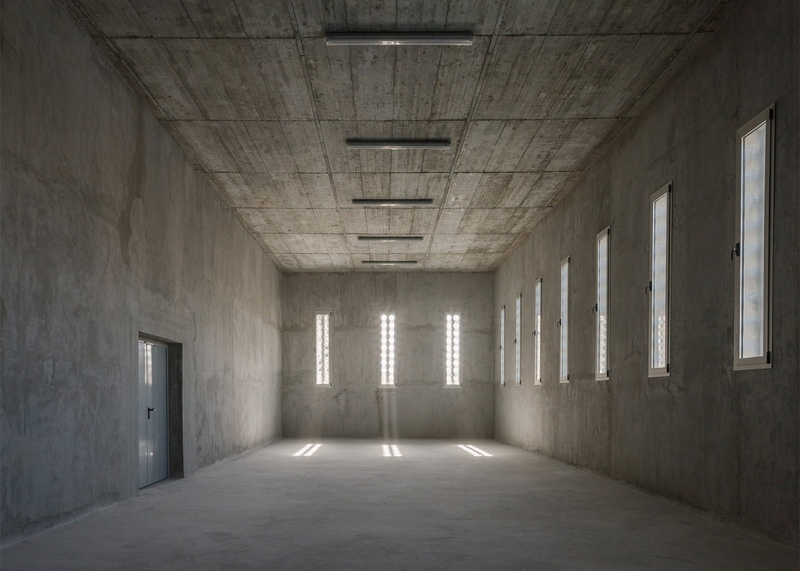 The porthole windows act like spotlights in this concrete space. Photos by Fernando Alda courtesy of Elisa Valero Arquitectura. 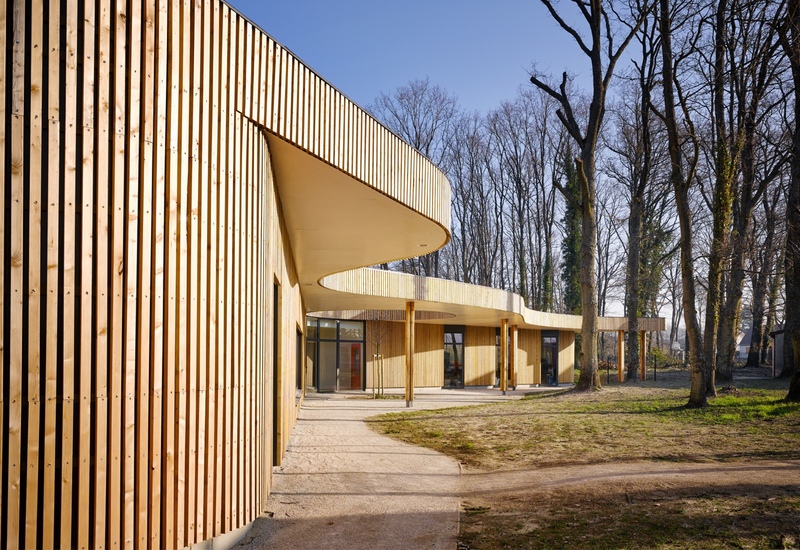 With its curving clapboard wood facade, this school meanders between the surrounding trees. 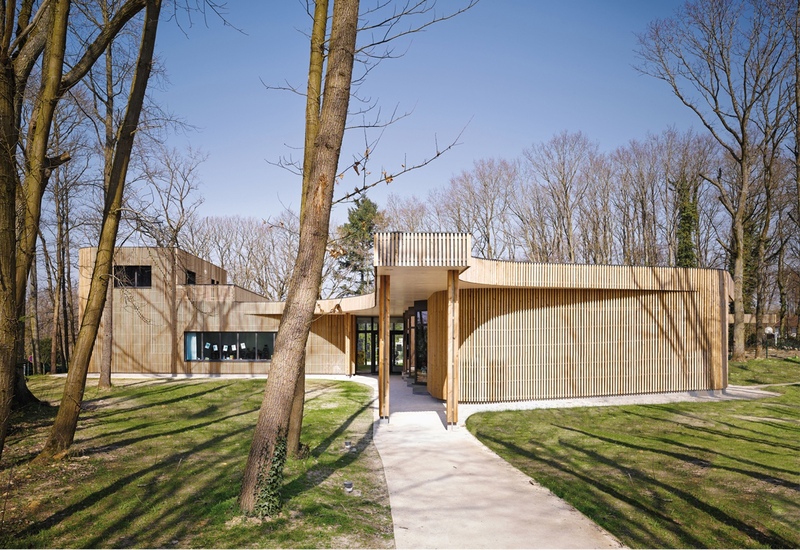 The building in Briis-sous-Forges in northern France was designed by MU Architecture and Archicop. 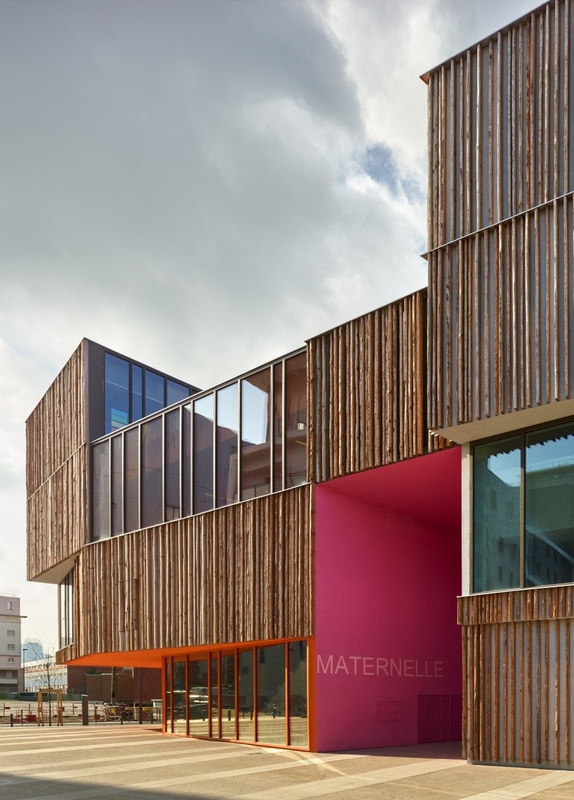 This smart school building in Briis-sous-Forges was designed by MU Architecture and Archicop. 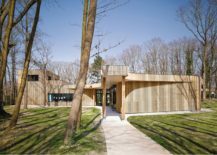 The building curves and meanders through the surrounding trees. Images © David Foessel courtesy of MU Architecture. 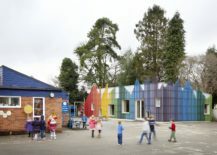 Architecture studios De Rosee Sa and PMR Architecture designed this dining hall and after-school club space for Prestwood Infant School in Great Missenden, Buckinghamshire. 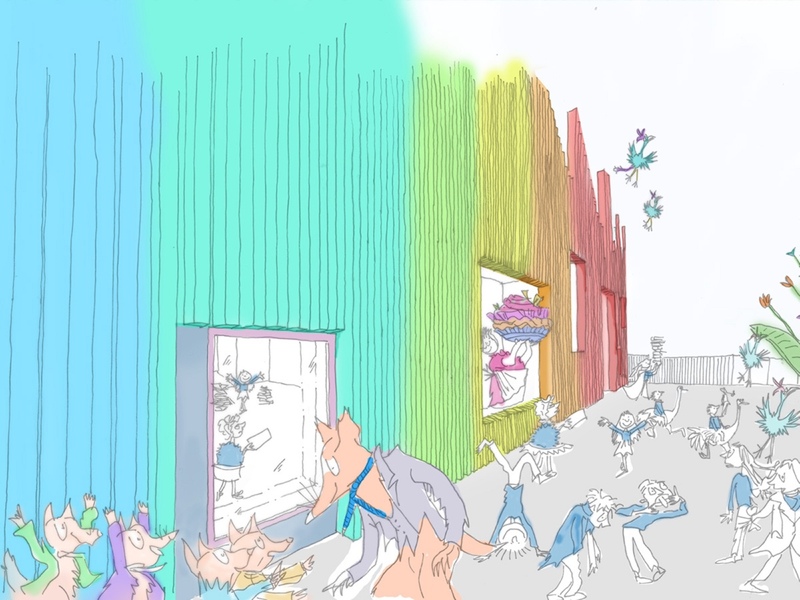 The design, like a row of colourful houses, was inspired by the Grand Feast Hall in Roald Dahl’s Fantastic Mr Fox. 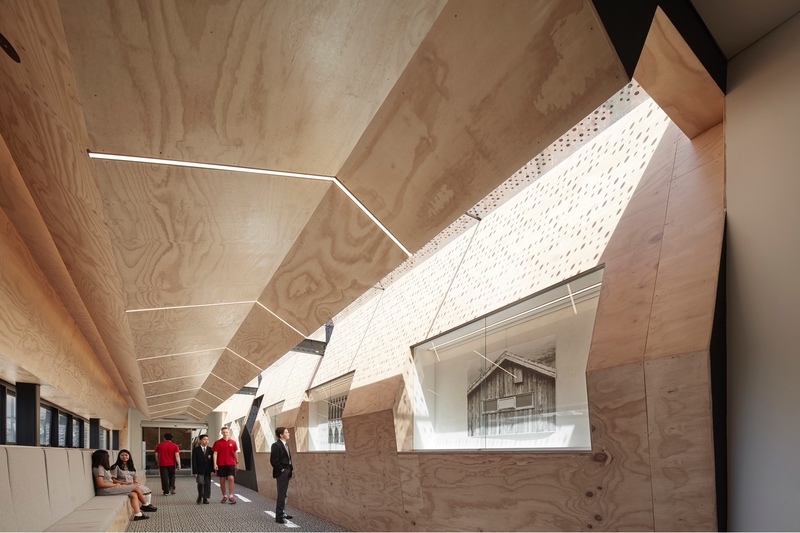 The dining hall and after-school club space was inspired by the Grand Feast Hall in Roald Dahl’s “Fantastic Mr Fox”. A scene from Roald Dahl’s “Fantastic Mr Fox”. The spacious interior of the dining hall and after-school club at Prestwood Infant School. Photos courtesy of De Rosee Sa. 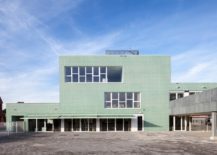 Kindergarten Kunterbunt was designed by Ecker Architekten. 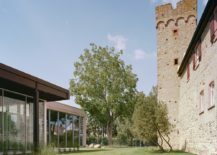 Located in the German town of Babenhausen, the contemporary school sits adjacent to a medieval fortified wall. 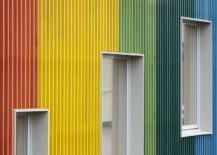 Kindergarten Kunterbunt by Ecker Architekten. Kindergarten Kunterbunt and its adjacent medieval fortified wall. 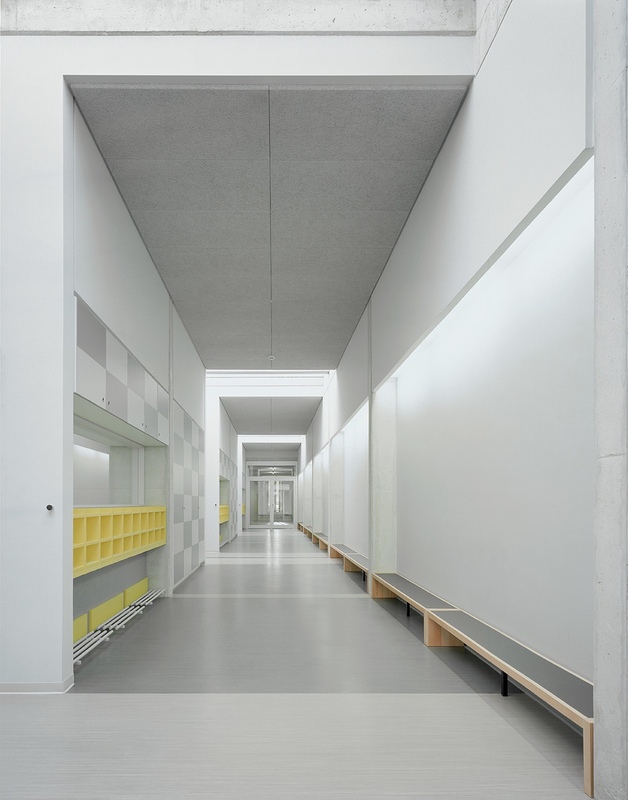 This bright hallway is highlighted by colour blocks of yellow and grey. 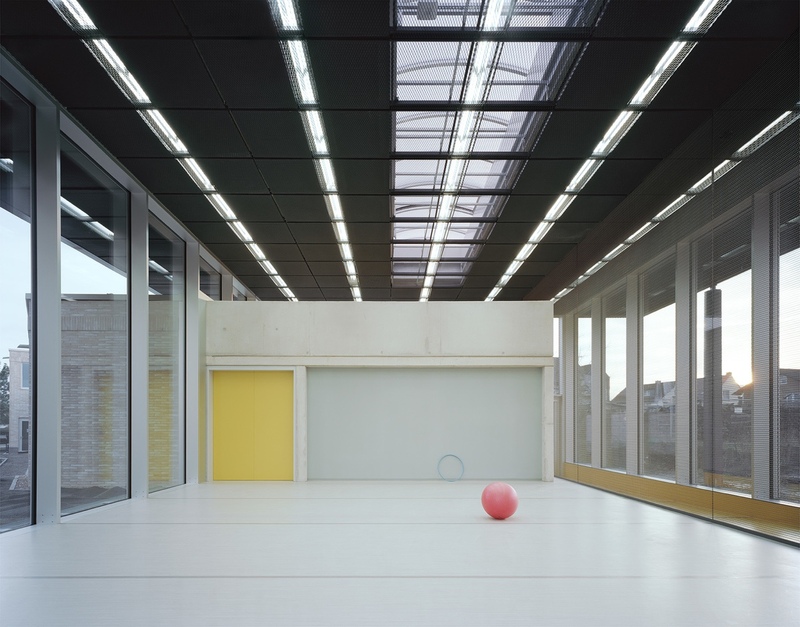 A clean and minimal space at Kindergarten Kunterbunt. Photos courtesy of Ecker Architekten. 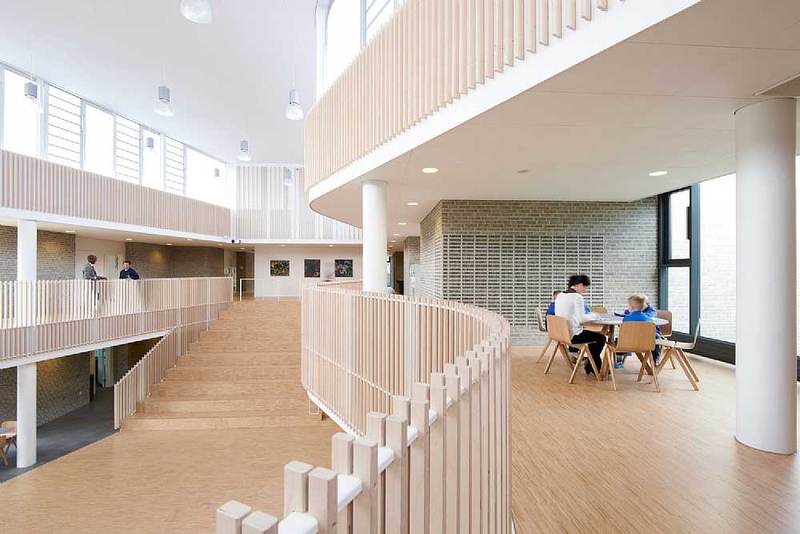 The International School Ikast-Brande was designed by architectural firm C.F. Møller. 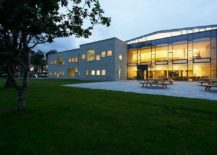 It is located in the Danish town of Ikast. 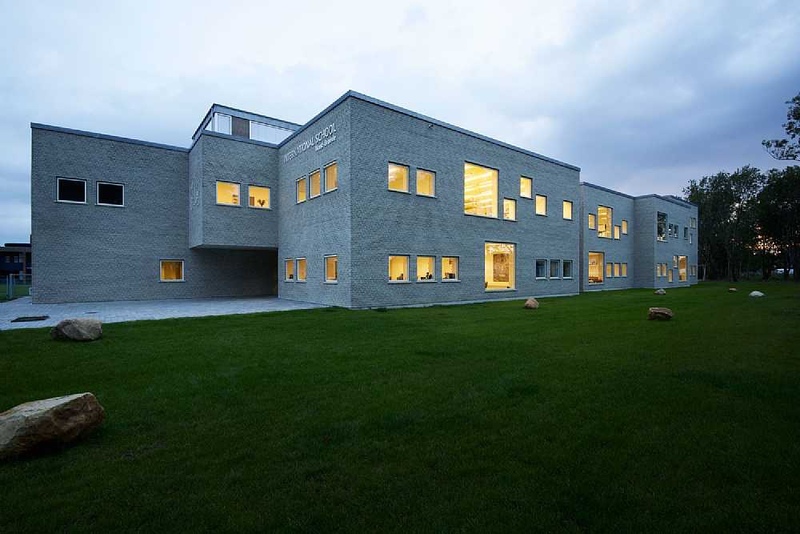 Grey brick and irregular windows augment the building’s contemporary design. Picnic tables are perfect for sunny days or huddling on a cold winter day. 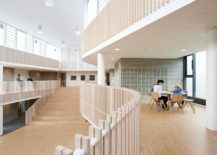 The interior at International School Ikast-Brande is spacious and welcoming. Orange and yellow accents frame several windows and add character to the space. Photos courtesy of C.F. Møller. 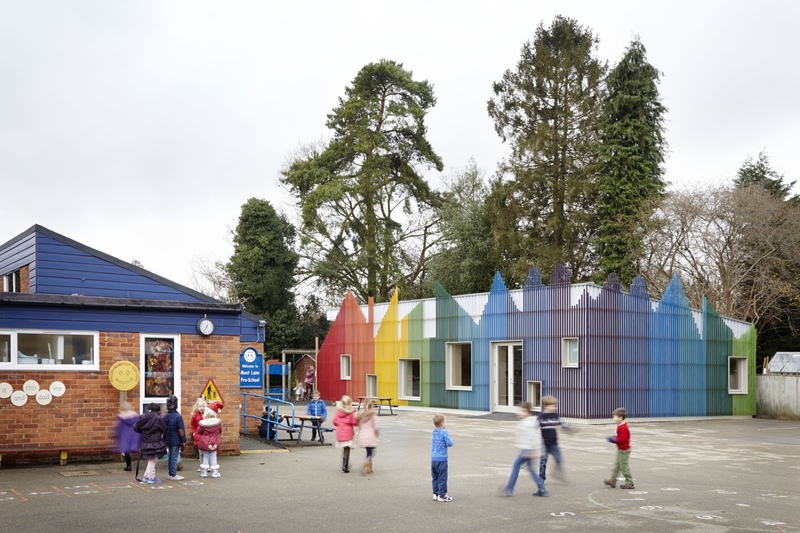 Schools for this post were sourced from Dezeen Magazine’s Schools Pinterest board.